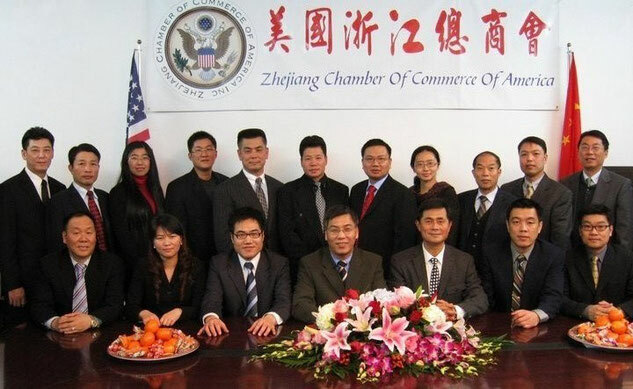 Zhejiang Chamber of Commerce of America(ZCCA) is a IRS 501(c6) non-profit organization. It is composed of a group of Zhejiang business elites who succeed in various sectors of business, and have profound economic and trade ties with Zhejiang Province industries. Chamber of Commerce is dedicated to all levels of US social and economic affairs, is also most influential and representative international Chamber of Commerce approved by the U.S. Government. The Chamber of Commerce aims at improving and facilitating US-China trades, helping Zhejiang enterprises to moving towards the world, offering service to our members, and make contributions to the economic constructions of Zhejiang and China. Become the premier comprehensive resource for Zhejiang Businesses in China and In the United States. To promote and assist Zhejiang businesses in United States communities to strengthen business growth and for a platform to exchange business information. To promote friendship amongst its members and to inculcate in them a high sense of loyalty toward each other. To foster economic growth and prosperty by promoting the intersts of Zhejiang business through meeting, networking, and education. To do any other act or thing incidental or connected with the foregoing purposes or in advancement thereof, but not for the pecuniary profit or financial gain of its Members, Directors or Officers except as permitted under Article Five of the Not-For-Profit Corporation Law. For more information, please visit http://www.zccaonline.org. Thank you!